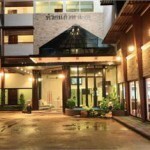 If your looking for a hotel in Chiang Mai that doesn't charge you to bring guests up like the young lady you picked up at beer bar in Loh Kroh road or at a Chiang Mai gogo bar then these are the hotels in Chiang Mai that you can stay at without being hassled to give up change or other problems with bringing up guests to your hotel room. The following list of Bachelor hotels in Chiang Mai I've personally stayed at and can vouch for their guest friendly policy. If you plan on doing a few soapy massages while your in town then the Chiang Mai Hill hotel is a good place to stay. Good price but a bit away from the center of the city this place is bachelor friendly with free wifi and quiet rooms it's a good place to stay if you like your privacy. For more information or to book a room click here. 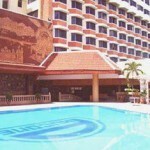 The Chiang Mai Phucome is an older hotel but still kept clean. 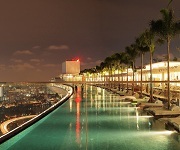 The swimming pool is a good relief during the hotter months but won't get used around Christmas time. 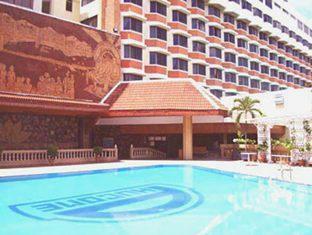 For single men the Phucome in Chiang mai is a great hotel to stay at because A. It has a pool. B. Is good value for money. C it has it's own soapy massage parlor what more could you want? This singles hotel in Chiang Mai is a good place to stay if you want to be close to the nightlife like nightclubs and massage parlors, if your into beer bars I'd give this place a miss. Not many foreigners around here either but the price is a really good deal and they don't ask any questions no matter how many guests you bring home. My mate was bugging me to check out this hotel/guesthouse in Chiang Mai for years and finally I thought why not a room less than $10 if I don't like it I can still leave right. Well I was really surprised, though the guests there are typically backpackers and gave a few snide looks at the little trinket I had with me when she left it was fun hanging out on the roof top and a dip in the Jacuzzi, really good value for money, again no questions asked. One of the cheapest hotels in Chiang Mai would be more convenient as a short time hotel but it's always booked solid so it's not so convenient after all. Bars are all around the B2 but are more of the Thai kind than the girlie kind still you need a cheap place to take a girl too then this is it. 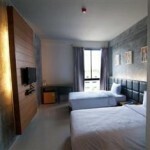 Even though it's the cheapest hotel in it's area, the area is actually more hip and modern than you'd expect. 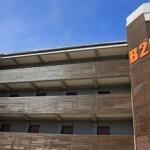 -Another of the B2 chain hotels in Chiang Mai I think there are like 6 now but these two are the only ones I'd recommend. This place has 70 rooms and are all in good condition for the price it's a good stay. Staff speak very little English though not that you need much anyway. No problems at all taking the ladies back here. This is a small hotel/guesthouse right near the night bazaar. Free wifi in all the 19 rooms. It's pretty cheap and the beds are a little hard but it's the price that is attractive here. Quick walk to all the beer bars and plenty of European and American foods within walking distance. If your looking for a super cheap place located right in the center of the Night Bazaar in Chiang Mai then you can't go past this place. OK for a few nights stay and very guest friendly, the Kare Night Bazaar Guesthouse is close to everything and if your on Tuk Tuk then the easiest place to get one in the city. 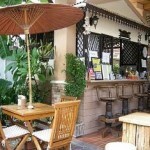 While not the cheapest place in Chiang Mai it is one of the cleanest. 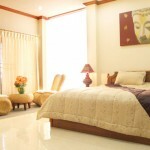 Centrally located and away from the main street the Minicost guesthouse is the perfect bachelor pad. 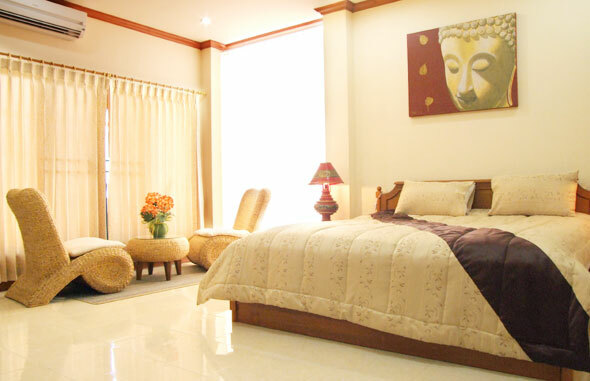 Many expats even live at this family run guesthouse. 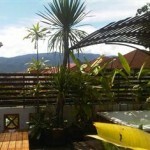 Australian owners and an easy going atmosphere make this place one of the best places to stay in Chiang Mai. Bachelor friendly with CCTV cameras and security. Does anybody knows if Royall Guest House in Kotchasam street IS BACHELOR FRIENDLY ?? Hi Chris, hope u can give me a headsup on B2Green (24 Soi Meangrairassamee, Sermsook Road, Changpurk, Muang, Huay Kaew) before I went on booking it. Is it bachelor friendly too as the other 2 B2chain u recommended? Thanks man, lookin forward to a real good time with the CM girls! yes they are bachelor friendly, cheap but very small. Imperial is bachelor friendly too. I was just there last weekend and the location is great. 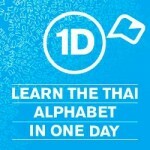 G’day chris mate going to Chiangmai next April what’s the best hotel clost to all the action with a pool and girl friendly you recommend and around 500 bht? Reply is in the next email thanks for reading. I recommend http://www.minicostcm.com send them an email for pricing and booking mention my site as well you will get a good rate. Does anyone know if the We Valley Boutique Hotel is bachelor friendly? I recommend you stay at Mini Cost great location and good for long stays. There are a group of bars next to Foxy Lady there are more details in the VIP area. Any idea if the Yantarasri hotel in the Nimman area is guest friendly? I tried to contact them but my e-mails do not get delivered. I had a foursome there no one said anything, but the girls weren’t hookers and the other guy booked the room (they have a room with like a tub that can fit 8 people). So I’m guessing it’s guest friendly cause we didn’t get asked anything but then we went in as two couples…so i’m not 100%. Guys, don t go to junior huesthouse, they are NOT guest friendly , they charge 300 baths extra to bring a guest. Is the Maninarakorn considered a bachelor pad?